Did anyone else notice lots of "we're engaged" photos in their Facebook feed again this year? Throughout the holiday season lots of couples get engaged and as soon as the holidays are over they start planning. One of the first things that every soon to be bride looks for is her dress. Weddings are big business and there are lots of big companies that are trying to sell you your dream day, but many brides want something a little more unique. They aren't trying to buy the most expensive dress or the coolest name brand, they are trying to buy something that no one else has, something that fits their personality, something special. Local entrepreneur Kristin London wanted to give Detroit brides a special experience as well as access to fashions that aren't normally carried in this area so she started the Detroit Bridal House in 2016. DBH is a small bridal studio where customers can spend one on one time with Kristin while trying on some of the most unique wedding styles on the market. Kristin is offering Detroit brides a chance to try something different, while supporting a small local business. Who wants to go to a chain bridal house where you will be treated as one of many when you can visit a beautiful local bridal house and be treated like a queen? HID- When did you open Detroit Bridal House? DBH- "We opened Detroit Bridal House in September of 2016." DBH- "I have always loved wedding gowns and weddings since I was a little girl. There is just something so special about what is worn on that day, it’s like a piece of art that embodies the person in the gown." HID- In your opinion what makes a good dress shop? 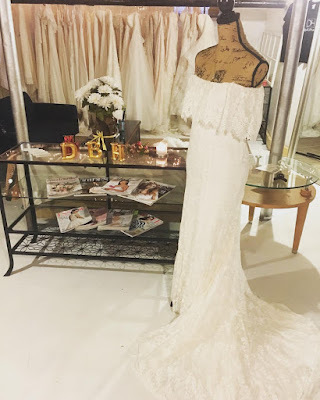 DBH- "I think warmth and individuality are what makes a good bridal shop. It is so important to me and my team members to create a unique experience for each bride and her family when they come in. It truly is all about the experience." HID- How did you decide what designers to carry? DBH- "For us, it was a no-brainer to go with designers that share our love for art, beauty, and wanderlust. We did a ton of research to find collections that fit our philosophy. We met with designers face to face and saw the collections in person and really it was like love a first sight." HID- How do you help your brides find the right dress? DBH- "We listen to them. We’ve really learned to listen to what brides want. 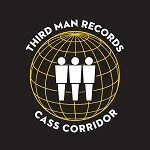 We usually ask a series of questions about their personal style, the music they like, what they typically wear for special occasions, and what their venue is like." HID- Why did you decide to open your business in the city? 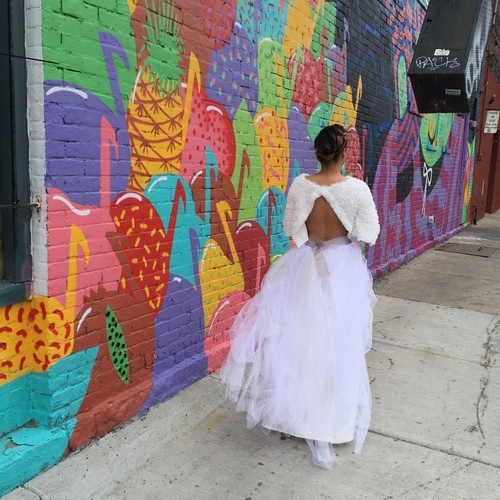 DBH- "I am from the Detroit, this is where I do life and when I realized that there were no bridal shops that carried nontraditional, boho chic gowns in the city I jumped at the opportunity to serve my community in a way no one really has. I believe in Detroit and goodness within, I genuinely enjoy living here." HID- How does someone reach out to make an appointment? DBH- "Making an appointment can be as easy as giving us a call or shooting us an email. There is an option to make an appointment on our website, but depending on how you find us that may not be your first option." HID- What’s your favorite wedding venue in Metro Detroit? DBH- "I love the city so much because there are so many places to host a ceremony or a reception that people do not even think of, like the old fire house on Gratiot or Shed 5 at Eastern Market. My favorite venue is the Roberts Riverwalk Hotel, I just think it is so beautiful and classic." 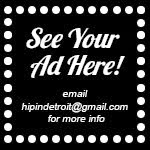 HID- Are there any Detroit vendors that you would like to turn brides onto? DBH- "There are so many awesome vendors in the city and metro area, it just depends on exactly what the bride needs. We have a vendor for everything. 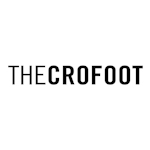 You can find a list of vendors we recommend on our site under vendor diaries." DBH- "We love for people just to come and hang out, get to know us and what we’re all about. Detroit Bridal House is more than a bridal boutique, it is our hope that it becomes a staple for the community and a refuge for the creative!" If you are a recently engaged bride we suggest you reach out and make an appointment with Kristin to check out her dresses. If you buy a dress from her bridal house you are contributing to a small local business owned by a Detroit resident. Plus, you'll have something special that no one else on your Facebook feed has.